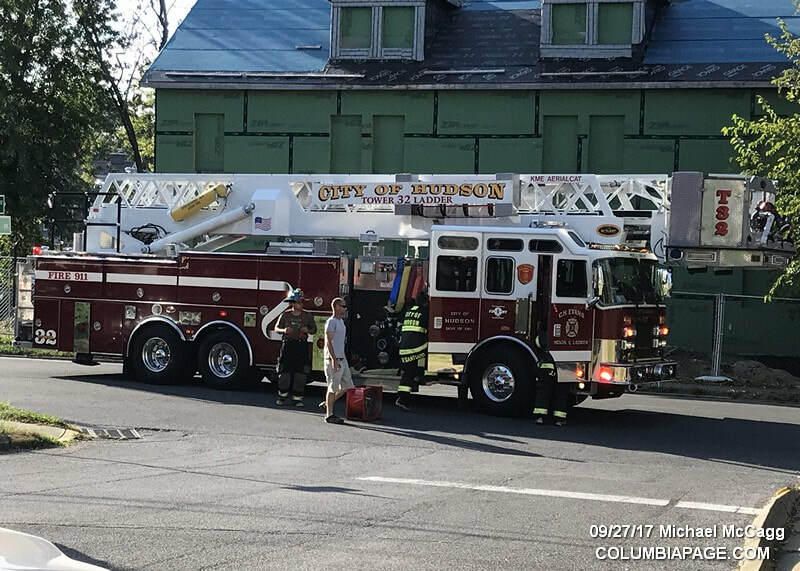 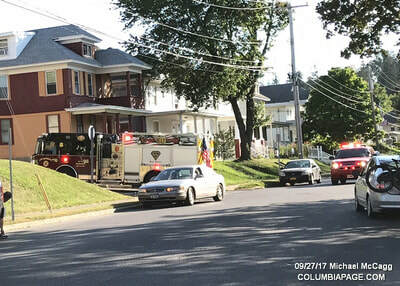 Hudson Firefighters made quick work of a kitchen fire at 36 Fairview Avenue on Wednesday, Sept. 27. 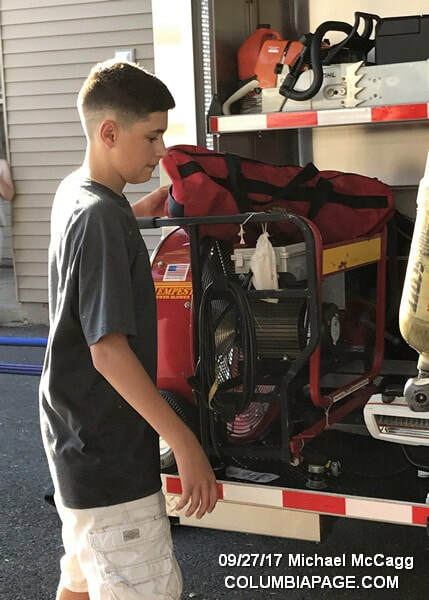 The department was dispatched along with Greenport Rescue Squad at about 4:30 for a reported structure fire at 36 Fairview Avenue. The building is a three-story apartment complex. 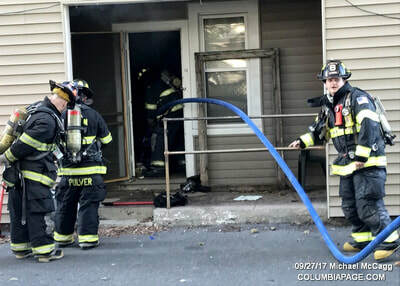 First arriving units reported smoke coming from a first floor apartment and Hudson Police later confirmed working structure fire. 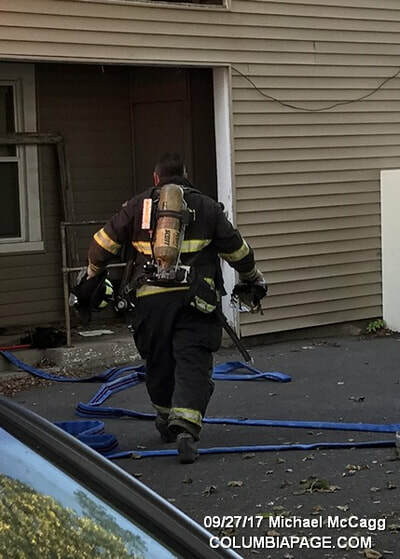 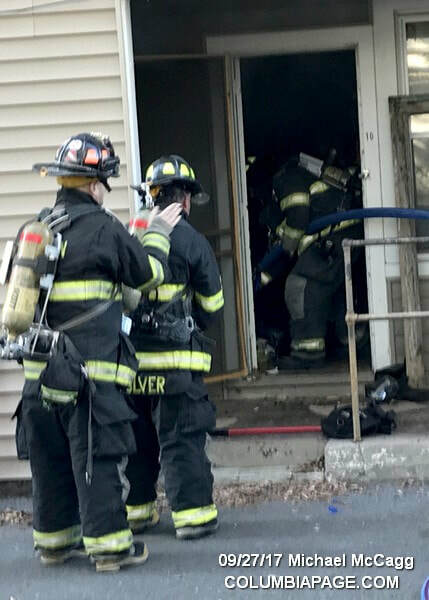 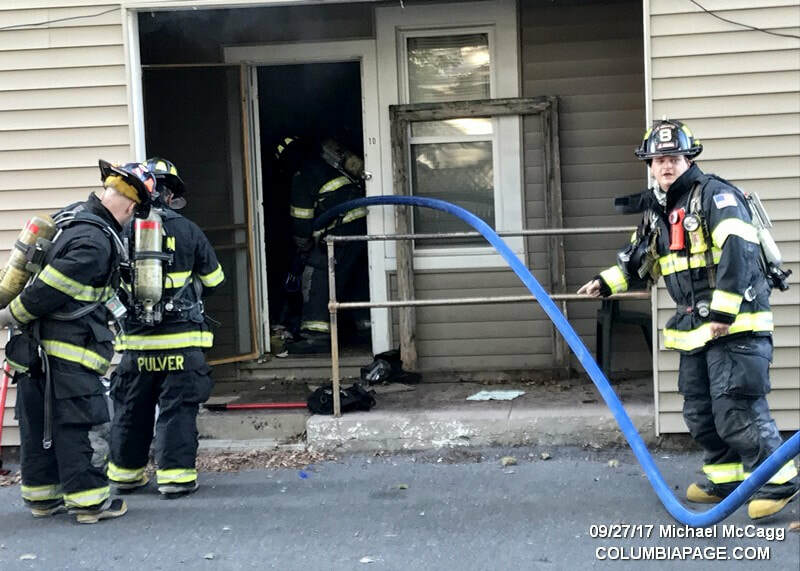 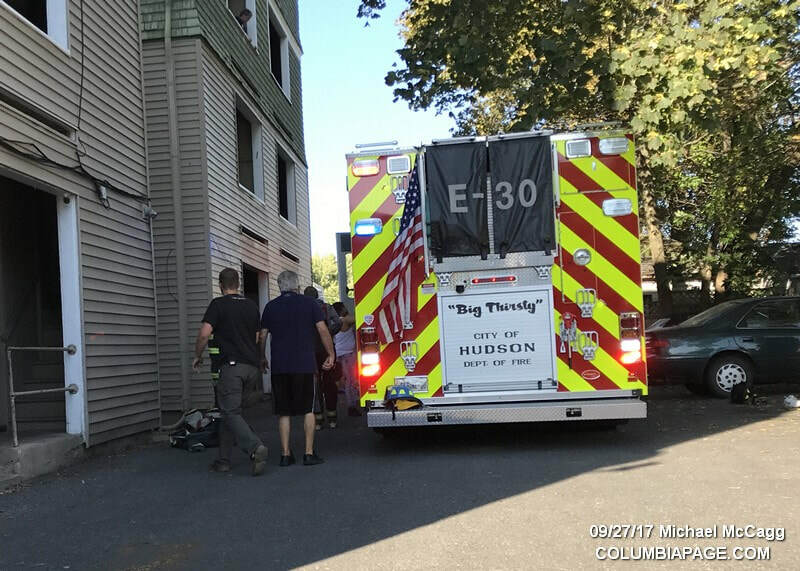 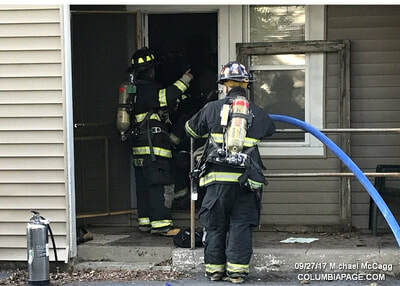 A crew from Engine 30 extended an attack line into the rear of the apartment and quickly knocked down a small fire immediately inside the door. 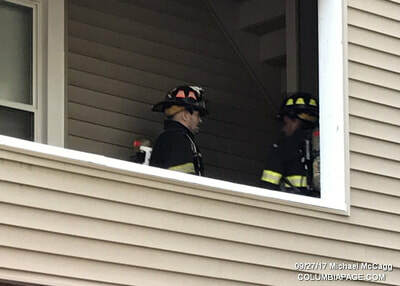 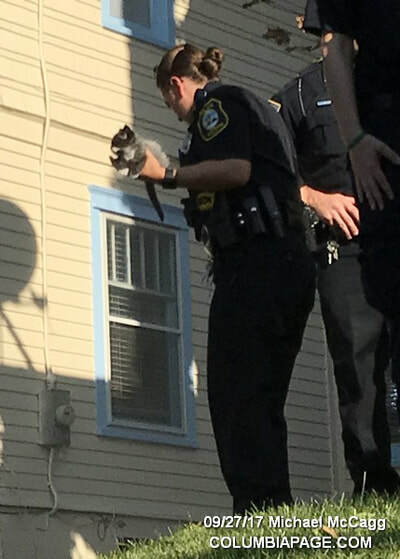 In the photos below, firefighters can be seen extinguishing the fire and an HPD officer can be seen carrying a kitten that was rescued from the smoky apartment.